On Saturday I gave a lecture on St Kevin’s road at the Hollywood Co Wicklow . The audience was great and made me feel so welcome. While having a cup of tea and a chat afterwards I was told about a number crosses and old roads at the northwest end of the King’s River Valley. The following morning I set off to see some of these sites in the company of four local people C.J, Ite, Francis and John, who kindly gave up their Sunday to show me around. So armed with out maps we headed up the Johnstown road to Valleymount to the townland of Ballintubber. In Ballintubber is one of the most amazing archaeological site I have ever visited. The site is an enormous broken granite cross. This large cross was in the process of being moved onto its side when it broke and was abandoned. As I looked at this broken cross I couldn’t help but wonder what the mason said when it broke, I imaging given the effort involved in get the cross to its semi completed state there was a lot of cursing. The cross was carved from a single piece of rock probably a large boulder like those scattered around the field. The shaft of the cross is approx. 3m in length and the head is 1.95m. This makes the entire cross approx 5 m tall. Tool marks left by the mason are on the upper face of the cross. 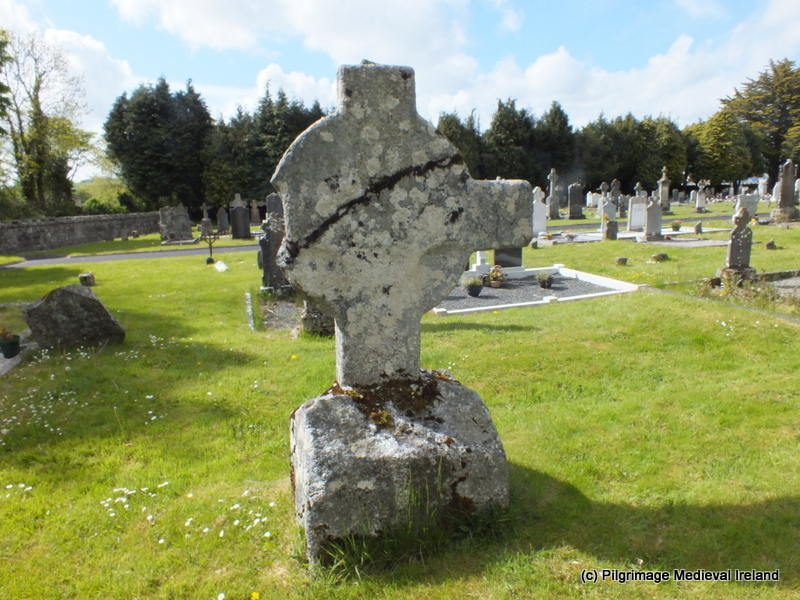 The cross really puts into perspective the efforts involved in creating the many high crosses that are found on monastic sites around the county. 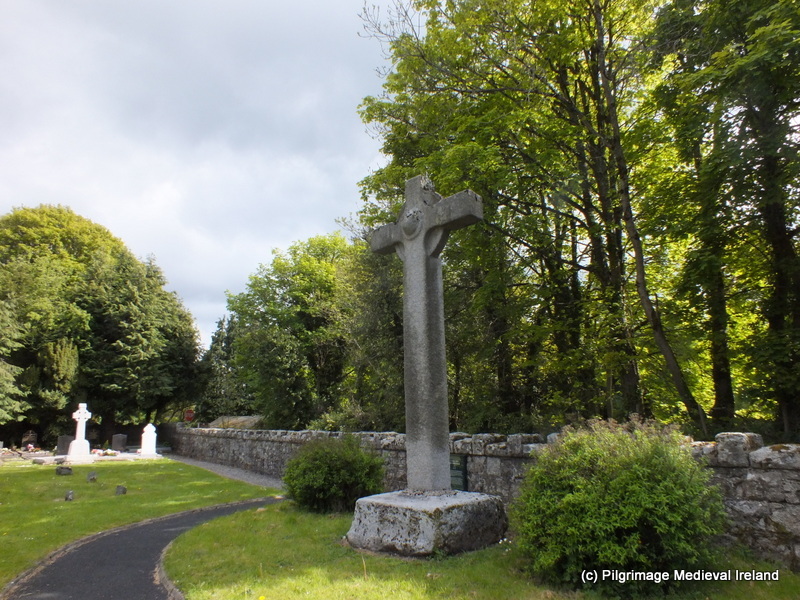 For a detailed discussion of this cross see Chris Corlett’s excellent article ‘The abandoned cross at Ballintubber, Hollywood, Co Wicklow’ (complete reference below). 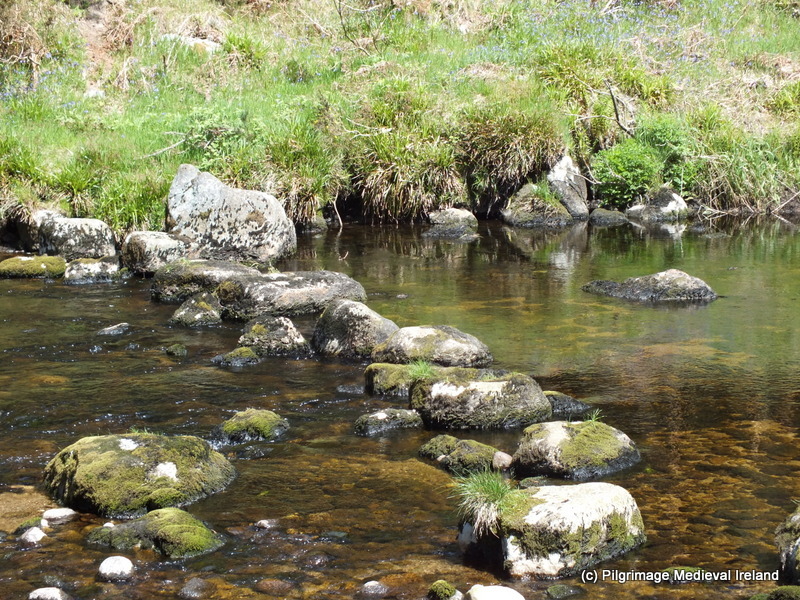 The next site we visited was a set of stepping-stones on the Kings River in the townland of Walterstown. These stones could very well be part of an ancient route used by travellers and pilgrims. They are marked on the 1st edition Ordnance Survey Map of 1840. Directly opposite the stepping-stones within a modern forest is a large flat top mound which may possibly be a small Anglo-Norman motte . 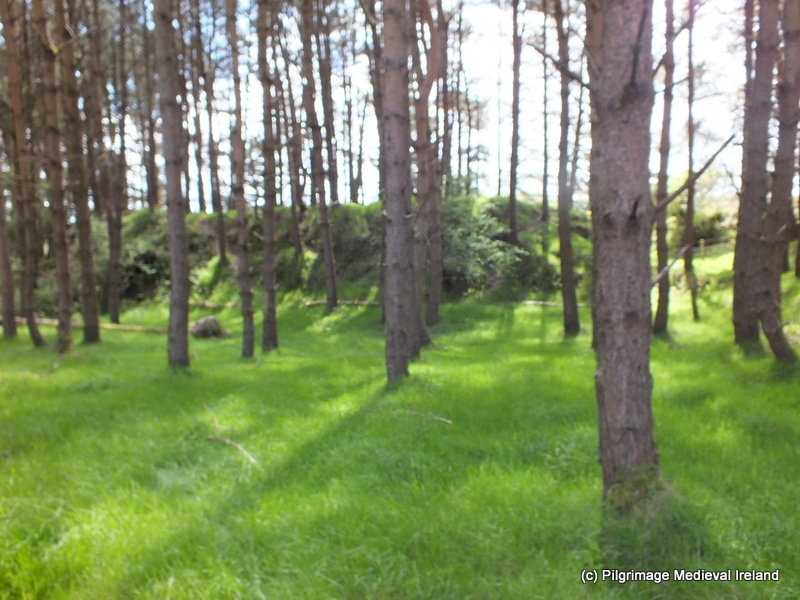 The site is marked as an enclosure on the RMP maps but it clearly isn’t one and is a flat topped mound. If this is an Anglo-Norman motte its presence could confirm an ancient route in the area. 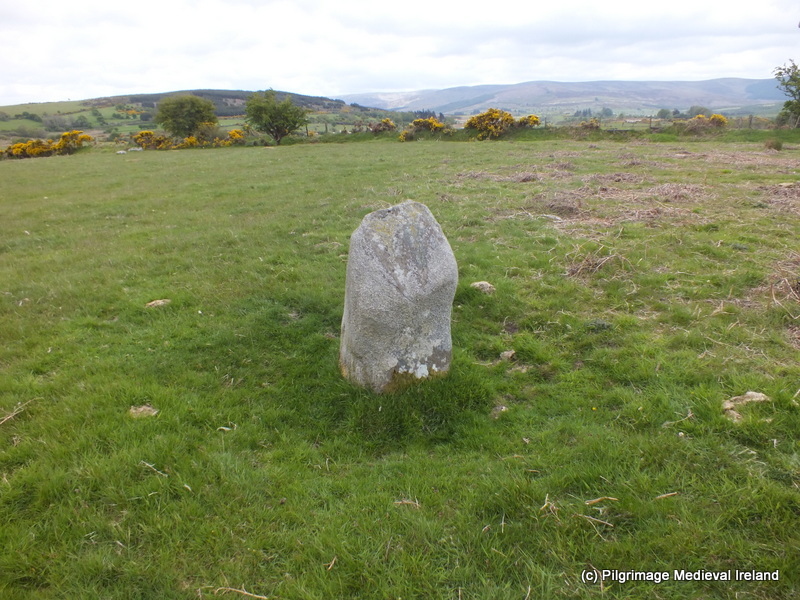 From the stepping-stones we headed on to see a standing stone also in the townland of Walterstown. This stone is directly in line with a mountain pass and may also have acted as a route marker for a prehistoric route. After a fantastic day I said goodbye to my companions and I headed home via Blessington where I stopped to see two high crosses. Geographically these crosses are the closest to the Ballintubber cross that I visited earlier. 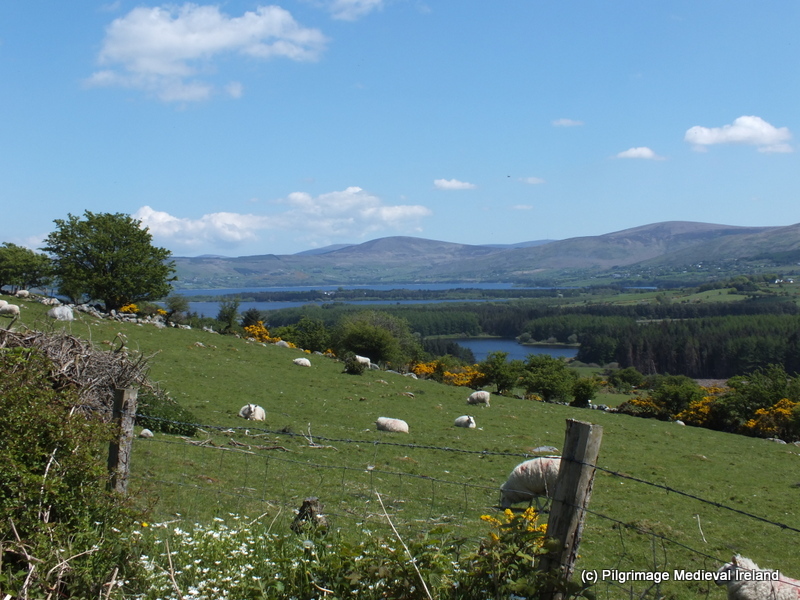 The two crosses were formerly located at Burgage More church and graveyard but moved to there present locations at the graveyard in Blessington when the Liffey Valley was flooded. The larger cross is known as St Mark’s cross, it is very tall and has unusually long arms and a central boss design. It stands 3.95m high. The Ordnance survey letters (1840) refer to the name of the cross as St Mark’s or St Baoithin’s cross. The second cross is broken with one of the arms missing and is more squat. So all in all I had a great weekend and can highly recommend a trip to west Wicklow. Corlett, C. 2011. he abandoned cross at Ballintubber, Hollywood, Co Wicklow’. 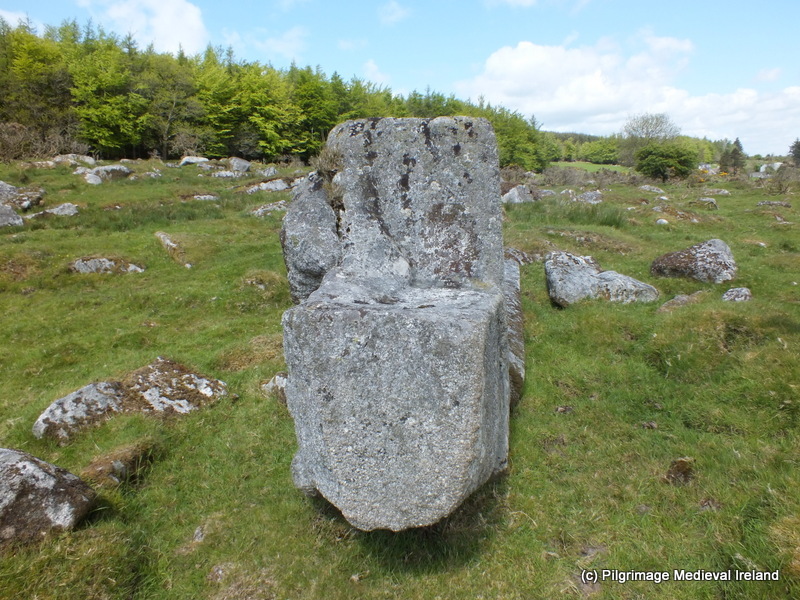 Archaeology Ireland, Vol. 25, No. 2, 26-28. This entry was posted in Medieval Pilgrimage, Uncategorized and tagged Ballintubber High Cross, Hollywood Co. Wicklow, St Mark's Cross Blessington, Wicklow. Great post …what good luck to find your local guides! 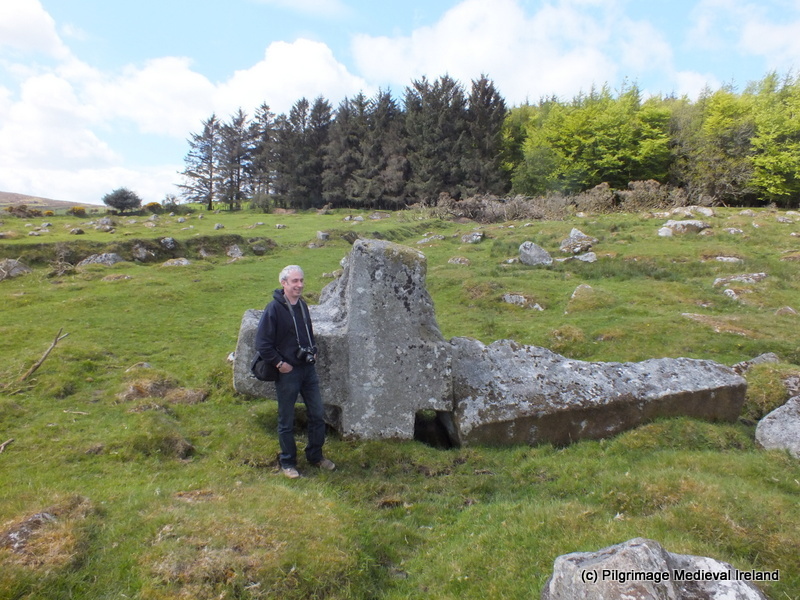 Fascinating – wish we had seen the abandoned high cross when walked St Kevin’s Way last year! Thanks Michael Kenning its a great site hope you get to visit it.